King George VI Provincial Park protects several species of endangered plants and is home to a variety of wildlife. Old growth cottonwoods buffer the park from adjacent land use and offer additional habitat for a variety of cavity nesting birds, such as barred owls, pileated woodpeckers and red-naped sapsuckers. The park was originally established to provide a day-use rest stop and campground for people entering Canada from the United States along Hwy 22. 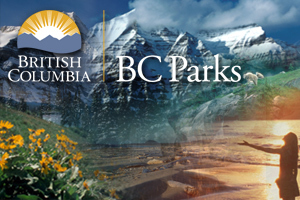 The facilities were vandalized and ultimately removed, and BC Parks has returned it to its natural state. Approved Purpose Statement and Zoning Plan [PDF] for King George VI Provinicla Park is available online in PDF format.